A conceptual project turns a box of spaghetti into an ode to a New York skyscraper. Despite my building hunger, I wouldn’t touch this tower of pasta, lest I ruin the Art Deco grooves of the Chrysler Building, here rendered in dried spaghetti by Alex Creamer. The project is part of a conceptual packaging that uses a wood-block replica of the tower’s iconic bust to shape the massing of the boxed pasta. Use it as a centerpiece for your gastronomic interpretation of ‘Delirious, New York’. 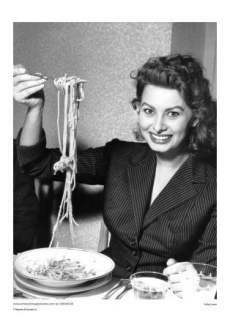 Move over Sophia, this is pasta at its most iconic.